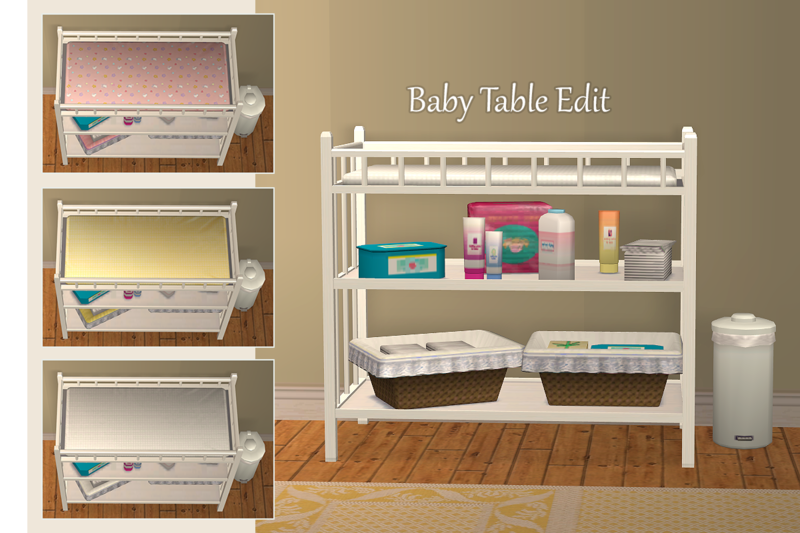 Here's a small edit to the basegame changing table. It's a new object (not a default replacement), has one subset and is slaved to the original. There's choice between a basegame version or one that requires Seasons & Apartment Life and three recolors with white frames. Additional Credits: SimPE and Maxis.